StayStaffed offers wide-ranging outsourcing strategies to manage the staffing and recruitment needs of organizations nationwide. Employers gain access to higher-quality permanent and contingent talent pools with a MSP solution that will streamline your staffing process and meet your organization's labor force goals and objectives. StayStaffed, through more than 25 years of staffing experience, is a first-class Managed Service Provider (MSP) for many industries including oil and gas, financial services, legal, healthcare, energy, and IT. As a result, we understand the ever-changing employment dynamics, quality control issues, labor trends, pay rate strategies, and compliance concerns that employers face daily. As your MSP, we will manage all of your agency vendors, eliminate the administrative burdens of managing an in-house recruitment program, and reduce your internal and external staffing costs. 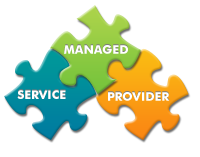 Our Managed Services software program is fully-integrated with our proprietary Candidate Direct Marketplace® Vendor Management System, supported by a dedicated client service manager for each account. Our VMS leverages a single-point-of-contact for organizations to gain access to permanent and contingent talent pools and includes order placement, order fulfillment, account management, customer support, billing, and reporting. Complex employee screening process includes online testing, assessments, credentialing, and candidate processing services that saves time, money, and reduces turnover. Immediate access to our nationwide marketplace of candidates, staffing agencies, and online sourcing and recruiting assets. Utilize your own agencies or choose from the nearly 400 agencies in the Candidate Direct Marketplace® agency network. Our MSP solution also includes recommendations on additional agency resources for better-quality results. Tiered-agency solution allows your favorite providers the first opportunity to fill your needs and improves the talent pool depth. Consolidated time keeping and agency invoicing with one automated process. Cloud-based MSP and VMS solution means no cost to deploy. In today's economy, the time to fill an open position takes longer, the expense to obtain critical skills is on the rise, and employee tenure is on the decline thereby prompting organizations to choose flexible staffing solutions that can be tailored to changing or cyclical conditions as well as reduce the administrative burden of in-house recruitment. StayStaffed Managed Service Provider (MSP) and Vendor Management System (VMS) programs offer HR recruiters and their agency firms an all-encompassing recruitment solution. But don't just take our word for it, contact a StayStaffed representative today to schedule a free, no-obligation online product demonstration that shows you how to recruit top talent, save time, save money and manage permanent and temporary staff from a secure VMS website.